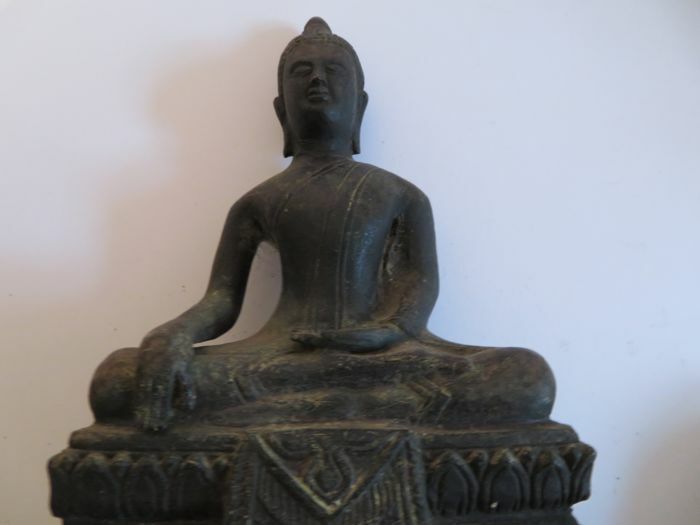 A bronze sitting Buddha statue from Cambodia,19th century. 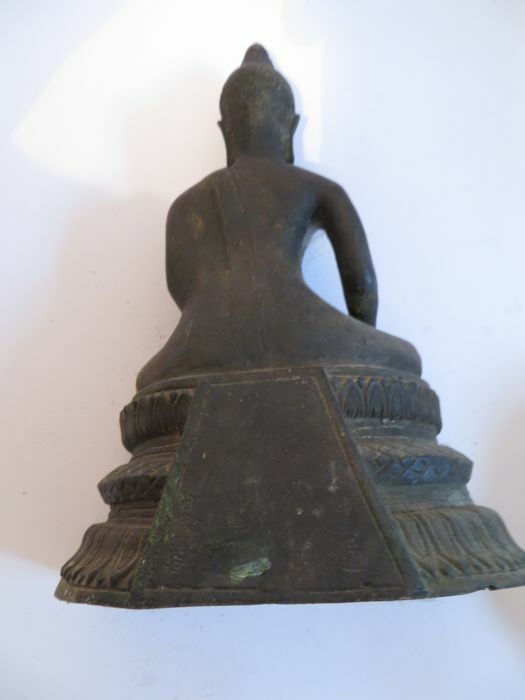 It has been found in a stupa near the old capital Udong. 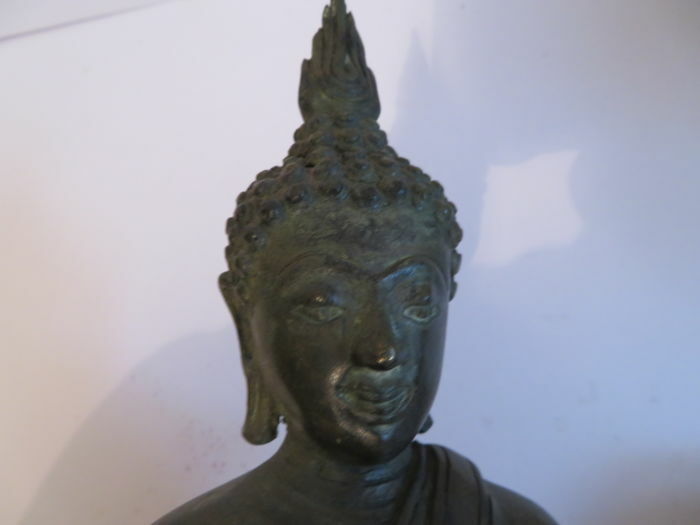 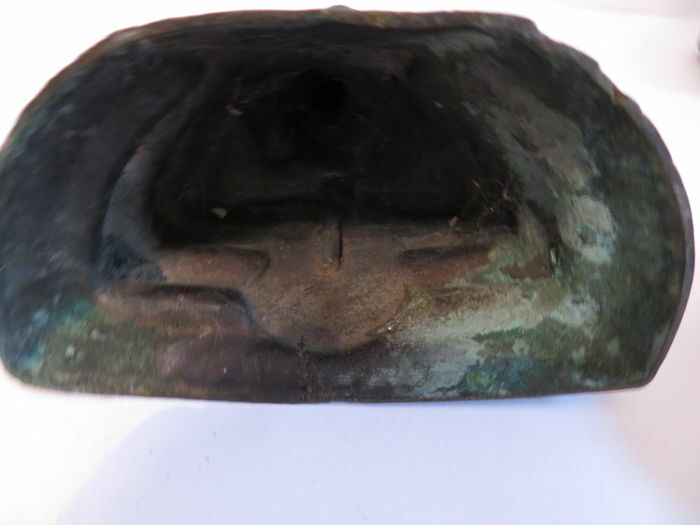 It has been cleaned from the centuries deposit.Nice ancient patina. 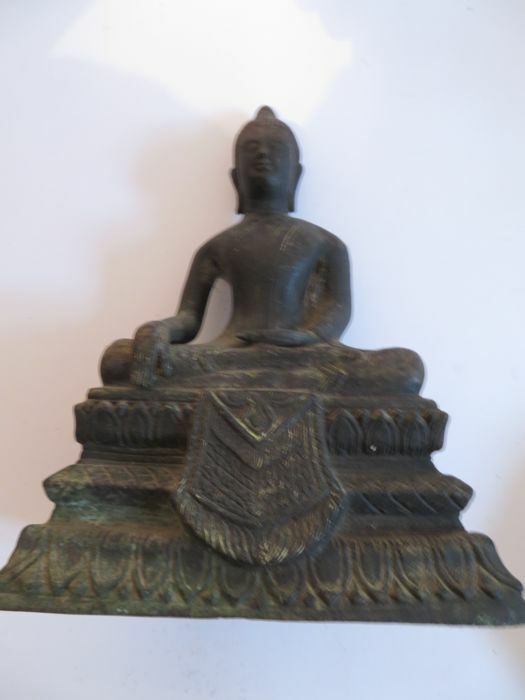 Acqusition by Dr.Zelnik in Phnom Penh,in 1990 from the collection of the former minsiter of state , Kingdom of Cambodia.